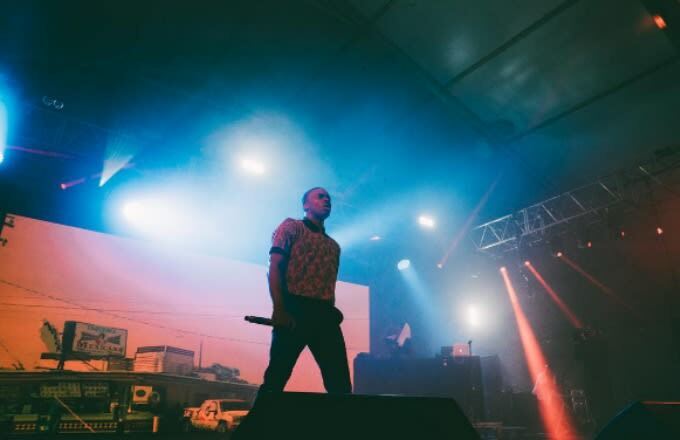 Vince Staples unleashed a new snippet of his upcoming track, "War Ready," on Sunday night during the latest episode of the popular HBO show Ballers. The track is produced by James Blake and features a tingling verse from Vince and a classic sample of André 3000&apos;s verse from "ATLiens." Vince Staples has his Prima Donna EP on the way soon, so it&apos;s possible "War Ready" will be part of that, but as of now, we don&apos;t have any information on the track. Staples has previously praised 3000 in interviews, citing him as a major influence on his career. Fans have been waiting for new music from 3000 for a while now. Earlier this year, he expressed interest in releasing "some kind of project," but so far we haven&apos;t seen anything. Considering the snippet of "War Ready" only contains a sample of an old OutKast song, the song in its current form doesn&apos;t even indicate that 3000 has been back in the studio. We&apos;ll have to wait and see if there&apos;s original material on the full version. You can listen to André 3000 and Vince Staples "War Ready" preview below via Audiomack. Look out for the full song dropping in August.